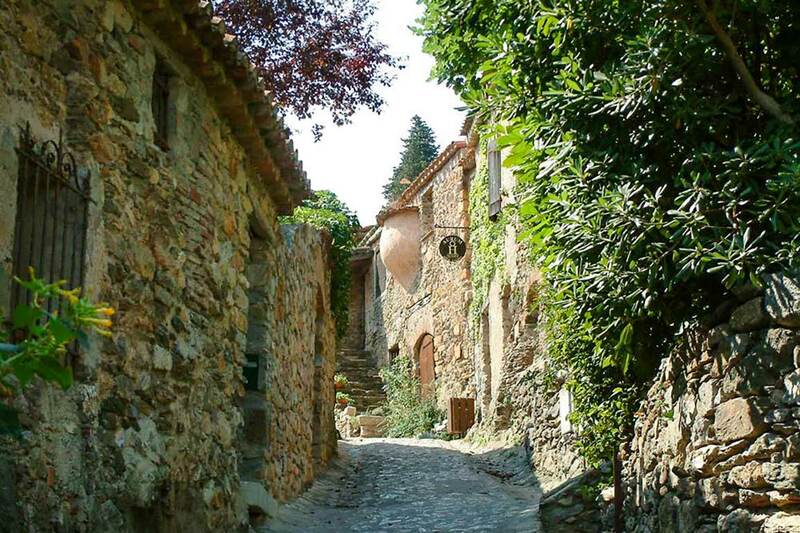 Castelnou is one of the most beautiful villages in the Eastern Pyrenees. If you are looking for a quality campsite to stay near this Catalan village, Les Pins **** is the place not to be missed during your vacances Pyrénées Orientales. This 4-star campsite is nestled in a pretty wooded park at the foot of the Albères massif and on the Mediterranean coast, in Argelès sur Mer. He invites you to spend a relaxing and exotic stay as close as possible to nature. It is only a few minutes from Castelnou and other key cities in the Eastern Pyrenees, making it an ideal meeting point. Thanks to the accommodation and the 4-star services offered by the campsite, your comfort will be guaranteed. You are welcome, whether you come alone, as a couple, as a family or in groups. Lovers of visits and discoveries will surely be delighted to visit Castelnou during their stay in this corner of the Eastern Pyrenees. 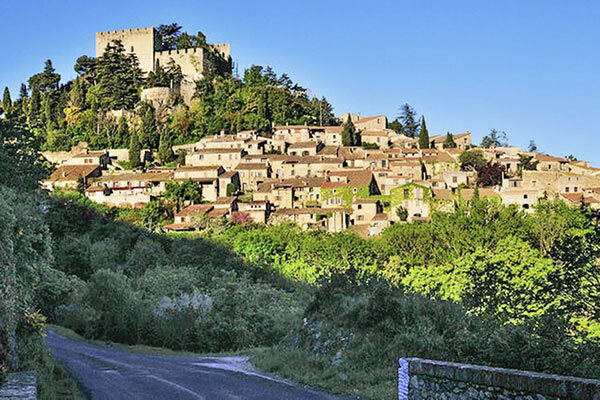 The village is organized around its castle, a must-see monument with its ramparts and towers. 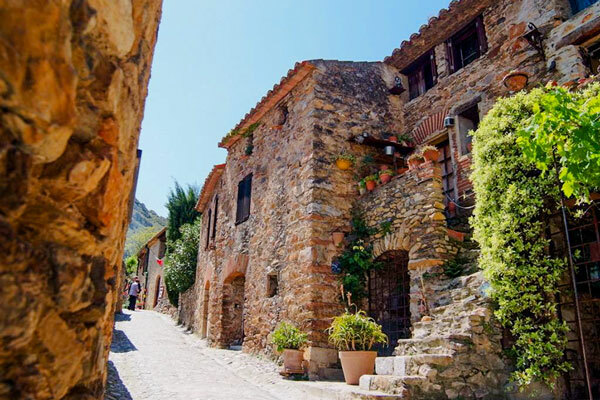 Visit the church of Santa Marie del Mercadal, the market huts not far from there but also the historical centre of the village and admire the charming stone houses. There is nothing better than a guided tour to immerse yourself in the local atmosphere. Camping Les Pins has a pretty water park in the heart of its estate. All tenants, whether in mobile homes or pitches, have the right to benefit from this structure. Go to the heated swimming pool to relax or do a few fathoms. A paddling pool also allows children to enjoy the aquatic pleasures. Water slides and bathing deckchairs complete the facilities of the aquatic area to vary the pleasures. Entertainment, children’s clubs, sports fields and other family activities are also offered by the campsite team. Don’t forget that the beaches of Argelès sur Mer are only a stone’s throw away if you want to discover and rediscover the pleasures of the seaside. Camping Les Pins offers you to rent a mobil-home at the beach, near Castelnou. The available rental ranges are very well equipped and have a capacity of 4 to 7 people. The bedrooms, the kitchenette, the bathroom, the terrace offer real living spaces to enjoy your stay. You can rest, cook and live as if you were at home while enjoying the fresh air and sea air. However, the campsite also welcomes tents, camping-cars and caravans of traditional camping enthusiasts on bare, green and delimited sites. They are more or less shaded. They are offered with all the necessary amenities. tempus accumsan efficitur. nunc elit. dolor.